This free Art Center members group meets every Wednesday, 10 a.m. to 2 p.m. year round in the A & E Building. 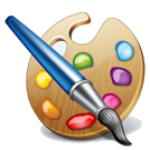 Artists work in a variety of mediums; oil, water colors, collage, pencil, and pastels. This friendly group often helps each other create their best work. Bring your own lunch for the noon break and eat with the group. This is a come when you can, stay as long as you want group, and new members are always welcome. Members check in at the door and guests may attend for their first visit at no charge.